Hollande would have engendered much more goodwill if he’d announced a retreat from the iconic 75% rate or announced a much bolder labor market legislation. But that carries with it the risk of a full-scale revolt on the French left. His sudden rightward pivot is unlikely to make the left wing of his own party incredibly happy, either, to say nothing of his more stridently socialist critics like Jean-Luc Mélenchon. Hollande backed down from a plan to assess around €1 billion in revenue from an environmental tax in November 2013 after massive protests from truckers and other interest groups, and he backed down in October 2013 from a planned tax on French savings accounts. There’s also no indication that Hollande is ready to shake up his cabinet, which is almost as universally unpopular as the president, including prime minister Jean-Marc Ayrault and finance minister Pierre Moscovici. Jérôme Cahuzac, France’s former budget minister, was forced to resign in March 2013, under tax fraud allegations, when it emerged that he had hidden thousands of euros of money in foreign bank accounts. The most notable exception is Manuel Valls, the Spanish-born interior minister whose law-and-order approach to immigration and other matters. Though Hollande could ultimately promote Valls to prime minister, it might also risk a mutiny of the French left. It’s also probably too soon to rehabilitate Dominique Strauss-Kahn, the former managing director of the International Monetary Fund, who still faces charges of ‘aggravated pimping’ in France. But no one else on the French left (disgraced or not) carries more economic policymaking credibility. Laurent Fabius, who implemented the most successful decision of Hollande’s presidency, an intervention to push Islamist jihadis out of northern Mali and stabilize Bamako’s government, is another possibility. But he first served as prime minister in 1984, which makes him somewhat of a retread. Though he’s firmly part of the French left, his appointment could alienate France’s business class and moderate voters alike — and it would do nothing to boost the ailing Franco-German relationship (Fabius vocally opposed the European constitution during the 2005 referendum campaign). 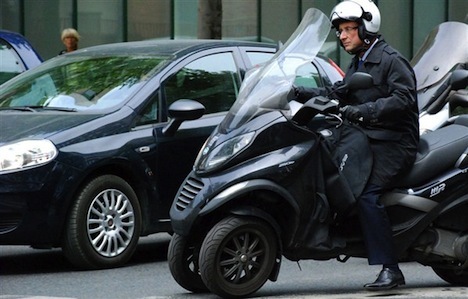 For similar reasons, it’s hard to believe that Martine Aubry, the author of France’s 35-hour workweek, would be a credible prime minister. If Hollande had wanted, instead, to lurch even further to the populist left, he might have considered the flavor of the month, Jean-Pierre Chevènement, interior minister under former prime minister Lionel Jospin between 1997 and 2000 who in 2002 left the Socialists to form the Mouvement républicain et citizen (Citizen and Republican Movement) and run as a candidate for president. The relative strengths and weaknesses of replacing Ayrault with Valls, Aubry, Fabius, Strauss-Kahn, Chevènement or anyone else demonstrates that even a cabinet reshuffle or moderate policy u-turns won’t necessarily give Hollande a second chance with the French electorate. Ultimately, he may simply have to wait out France’s economic woes and hope for an upturn in 2014 or 2015. Even though France’s economy rebounded from a 0.1% contraction in the third quarter of 2013 to 0.5% growth in the fourth quarter, French GDP growth marked exactly 0.0% in 2012 and isn’t expected to grow much more for 2013, and growth hasn’t exceeded a high of 2.5% since the year 2000. Meanwhile, the unemployment rate remains at a 16-year high at nearly 11%.